"I am not moving to Iraq to teach." How does a liberal American girl in red suede boots end up teaching English to conservative Muslim Iraqis in headscarves? Gretchen Berg has met the recession: she has eaten cereal for dinner, given up the gym membership, and come face to face with looming unemployment. To cope, she decided to uproot her life and move to the Middle East. She expected to make some good money, pay off some bad debt, and take some photos of camels. She did not expect to feel at home. She did not expect to fall for a student. She did not expect Diet Coke withdrawal. 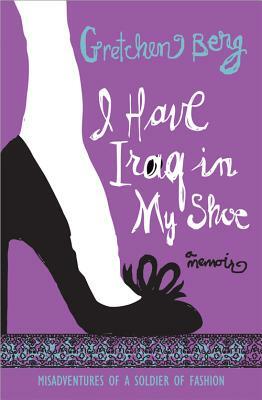 Irreverent, hilarious, and completely relevant, I Have Iraq in My Shoe takes a single, broke, fashion-conscious American female who prefers Project Runaway to CNN and tosses her into Iraq in exchange for cash and vacation time. Gretchen is an award-wanting writer with a bachelor's degree in something completely unrelated to writing. She has read articles for Vogue, Elle, Harper's Bazaar, Allure, The New Yorker, Newsweek, and The Economist (once when the TV wasn't working). She is a Cancer, with Scorpio rising, who was born and raised. She wishes people dressed up more.